Five players reached double-figures in scoring, but it wasn’t enough as the Richmond men’s basketball team had its four-game winning streak snapped by Big 12-foe Texas Tech, 85-70, on a snowy Tuesday night in Lubbock. The Red Raiders entered the evening sitting seventh in the latest NCAA RPI rankings. Junior ShawnDre’ Jones led the way for the Spiders with 16 points, including five three-pointers. The five treys were a season-high for the Houston native and one away from his career high for treys. Classmate T.J. Cline chipped in 14 points, three rebounds and three assists, while senior Terry Allen finished with 13 points and rebounds. All three were Texas natives playing in their home state for the first time during their Richmond careers. Allen’s 13 points marked his 22nd straight double-digit performance dating back to last year. Redshirt-freshman Khwan Fore tallied a career high for a second-straight game with 13 points, besting his 11 points scored in last week’s win over Presbyterian. Redshirt-junior Marshall Wood was the fifth Spider in double-figures with 11 points, including three treys. 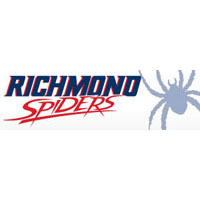 Richmond knocked down 10 3-pointers on the night, marking the fourth time this year that the Spiders reached double digits in that category. Texas Tech jumped out to a quick lead, but a layup by Cline and a three-pointer from Wood brought the Spiders within five, 15-10, with just over 12 minutes to play in the first half. However, the Red Raiders answered with aggressive offensive play to ignite an 11-0 run, but two three-pointers by Jones thwarted the run and brought Richmond within 11 at 28-17 with 8:37 remaining in the stanza. Texas Tech extended its lead back to 18 on three occasions in the first half, but Fore provided a spark off the bench to bring Richmond within 12, 41-29, at the halftime break. The Red Raiders kept the momentum on their side to start the second half, pushing their lead to as many as 20 on four occasions, but back-to-back treys from Jones and Cline helped the Spiders chip away at the lead, getting within 13 with 10 minutes remaining in the contest. Allen, who was plagued by foul trouble all night, ignited the Richmond offense, getting the Spiders within 10 points late in the game, but the Red Raiders finished shooting 81-percent from the charity stripe to seal the victory late. The Spiders return to the Robins Center on Saturday, January 2 in the Atlantic 10 opener against Saint Joseph’s. Game time on NBC Sports Network is set for 12:30 p.m. Tickets are still available and can be purchased online HERE.